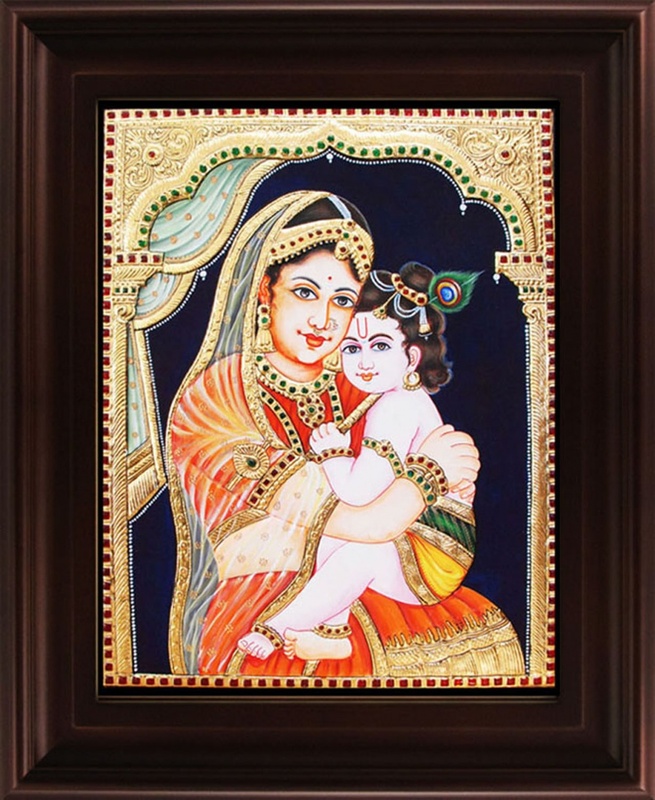 Love between Krishna and his mother Yashoda. Materials used to make this Tanjore are 22 Carat Original Gold Foils, Plywood, Cloth, Paints, Semi-precious stones, Arabic gum, Chalk powder and Teakwood frames. Unbreakable fiber glass to avoid damages.